Handpiece Sales – Who’s Winning? Water Spray Problems? 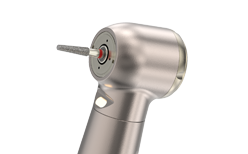 Save On Handpiece Repair. Do New Dental Burs Save Handpieces? 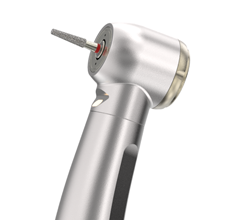 Dental handpiece reviews. Click logo to start. Dental Handpiece Reviews provide doctor's and staff a snapshot look at multiple brands. Every attempt is made not to pitch products, but to provide the facts necessary to assist with an informed purchasing decision. 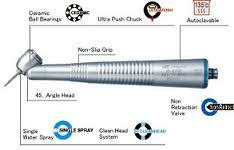 We do have our favorites though, as you will see throughout various dental handpiece reviews on this site. However, our favorites are not based on an attempt to promote, but to accentuate our appreciation of value. 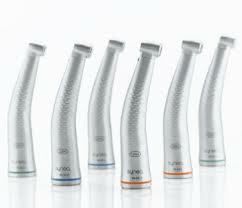 Any bias is essentially based on individual handpiece's reputation for longevity, and history of the brand. When available, products from various independent dealers will be displayed at the bottom of each dental handpiece reviews page. Many progressive dental dealers now market their wares via Amazon, Google, and Ebay - the largest online source for new, used, and reconditioned handpieces. The owners of HandpieceReview.com have over 16 years invested in the repair, promotion, manufacture, and advancement of the modern dental handpiece. Our goal is to assist doctors and staff with an informed decision toward the purchase of new and used handpieces, and/or accessories. Our site is sponsored via a nominal commission paid by dealers in our network each time you click through and make a purchase. HandpieceReview.com makes no direct sales to customers. Our affiliates understand and appreciate our ability to educate and assist doctors with an informed dental handpiece purchasing decision. Kavo, Lares, Dentsply, Star Dental, Sirona, NSK, Bien-Air, and A-dec are registered trademarks, and are in no way affiliated with Handpiecereview.com. Copyright © 2009 · All Rights Reserved · Handpiece Review by S.A.R.A. Enterprises, Inc.